Roosevelt High School Executive Chamber is made up of 16 voices from the Roosevelt High School Concert Choir. The voices are chosen by tone, sight reading ability, work ethic and blend-ability... both by vocals and personality. This ensemble, under the direction of Robyn Starks Holcomb, rehearses every day during lunch period and occasionally on Thursday evenings. 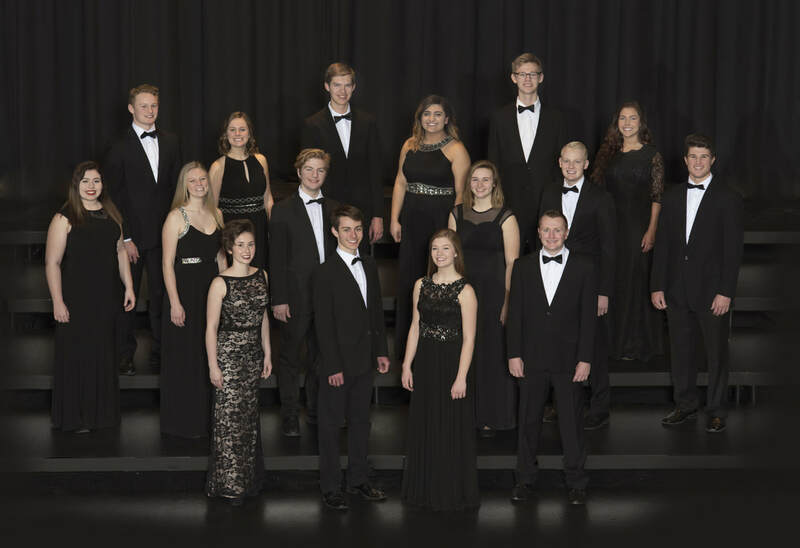 Executive Chamber sings a wide range of music from Renaissance to Contemporary choral music - and also focuses on jazz music second semester. Regardless of genre, we believe "good singing is Good Singing is GOOD SINGING." Executive Chamber travels around the community singing for special engagement and events, and also travels in the winter/spring to area jazz festivals.